Employment law is in place to protect both employees and employers. As employee rights specialists, Howells are here to help guide, support and represent those who have grievances with their employer. The workplace can be fraught with complicated, tangled-up issues. If you feel you’ve been the victim of poor treatment, you deserve to have your voice heard and to receive the correct compensation. Our experts have the experience, knowledge and skill required to fight your corner. We are a large firm with offices in Cardiff, Swansea, Newport, Caerphilly and Talbot Green, yet we provide the personal service of a much smaller company. We strive to get to know you, your situation and your needs thoroughly, ensuring a clear, comfortable service which comprehensively addresses your requirements. Have My Employee Rights Been Breached? Discrimination in the workplace is absolutely unacceptable. Here at Howells we fight your corner if you have received unfair treatment due to your gender, sexual orientation, family circumstances (pregnancy, civil partnerships etc. ), disability, race, ethnic background, religion, nationality or age. It is sometimes called a “public interest disclosure”, a “protected disclosure” or a “qualifying disclosure”, blowing the whistle is essentially speaking up about wrongdoing in the workplace. Sometimes, you just want to know whether you have the legal right to something or not. Employees normally have a written contract of employment which sets out details of their rights and obligations. To find out more about employment law and fighting for your employee rights in Cardiff, Swansea and Newport, speak with our expert team on 0808 178 2773, email: info@howellslegal.com or submit an enquiry form online now. Experience dealing with Trade Unions. 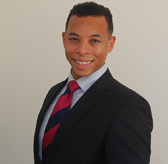 Nayo specialises in advising employers on all aspects of their responsibility to their employees. Advice to companies on all manner of employment related issues including drafting contracts, policies, negotiations, H.R. guidance, TUPE issues, disciplinary and grievance procedures and employment tribunal cases. Advising individual clients on internal grievance and disciplinary issues, negotiating employee departures, settlement agreements. Managing a caseload of litigated employment tribunal cases representing both Claimants and Respondents. 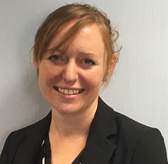 Lucy works within the Employment Department assisting the fee-earners in all aspects of employment law for both commercial and individual clients. 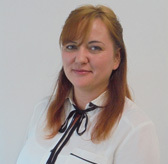 Lucy is responsible for liaising with clients, barristers and other legal professionals. She has excellent organisational skills, a courteous manner and enjoys building good relationships with clients and professionals alike. 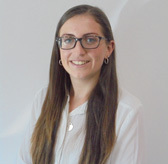 Lucy graduated from Nottingham Trent University with a degree in Law and recently completed her LPC in Cardiff Law School. 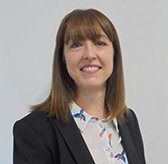 Sue is an experienced PA who works within the Employment Department assisting the solicitors and organising the team on a daily basis. Sue is a great asset to the department and over the years has built up an extensive knowledge of employment law. Sue, along with Lucy, deals with new enquiries and she has a great manner with clients and is professional at all times.